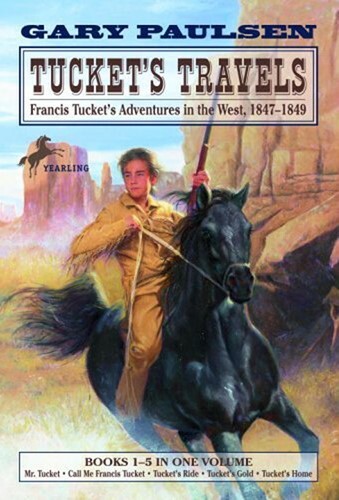 Fourteen-year-old Francis is heading west in a wagon train on the Oregon Trail when he’s kidnapped by Pawnees. His adventures during the two-year search for his family teach him how to live by the harsh code of the wilderness, and give readers an exciting panoramic vision of the West at a time of settlement and of war with Mexico. Along the way, Francis meets up with Mr. Grimes, a one-armed mountain man, and later rescues Lottie and Billy, children abandoned on the prairie. Together the three encounter bandits, soldiers, storms, eccentric travellers, and discover an ancient treasure. But the real treasure lies at the end of the trail—Tucket’s home. From the Trade Paperback edition.